BottleHood reuses discarded bottles from local restaurants, bars, and homes to craft its unique line of glassware. 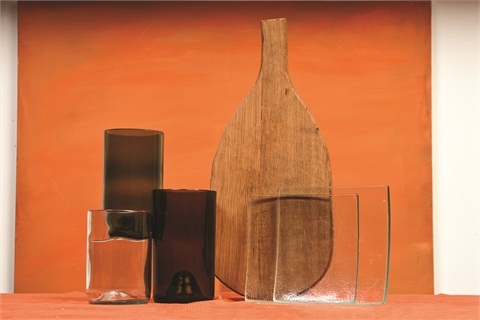 These cups are great retail pieces for the environmentally conscious client and can also be used to serve beverages in your salon. BottleHood also makes glass sushi trays and wooden serving paddles/cutting boards from repurposed oak wine barrels. It accepts your own bottles to create custom pieces. 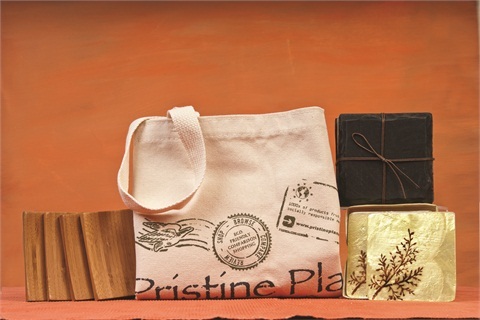 Pristine Planet is a one-stop green shopping site selling everything from recycled bags to organic chocolate. And its popular coasters will add a splash of natural elegance to your salon or a client’s home. Featured are brown and sage coasters made from Capiz shell, found in the Philippines. Hand-crafted with a unique floral design, no two coasters look alike. Also featured are slate and bamboo coasters. EcoCycle can help make a lunch routine sustainable with Eco-ditty reusable sandwich and snack bags. Made from 100% organic cotton and printed with low-impact inks, these bags are machine washable and available in many styles. Clients can also take home restaurant leftovers or carry a hot lunch to work with a To-Go Ware Tiffin, which replaces plastic containers and comes in a recycled sling bag. Reuseit’s products give customers smart alternatives to everyday use-and-toss items. Included are Everything Cloths — multi-use organic hemp and cotton towels that will easily take the place of hundreds of paper towels per year. Also featured are Light My Fire spork sets. 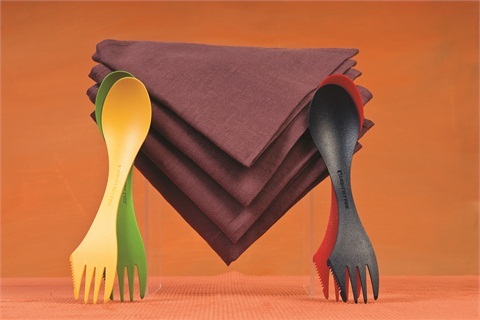 The BPA-free spoon-fork-knife combo is heat-resistant, easy-to-clean, durable, and lightweight. Organic Pure Life’s kitchen products will completely transform anyone’s home. Its organic soaps contain all natural ingredients — such as clove, apricot, eucalyptus, lavender, oatmeal, and lemongrass — to exfoliate skin and remove bacteria. 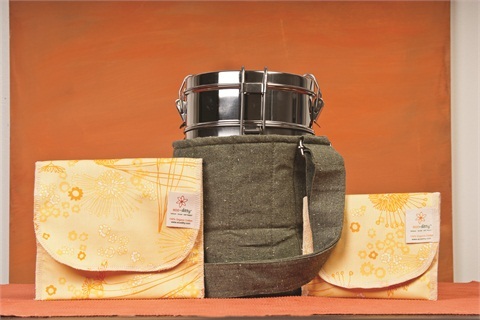 The Ok Kitchen Collection offers sets including 100% organic cotton towels and pot mitts available in different colors. 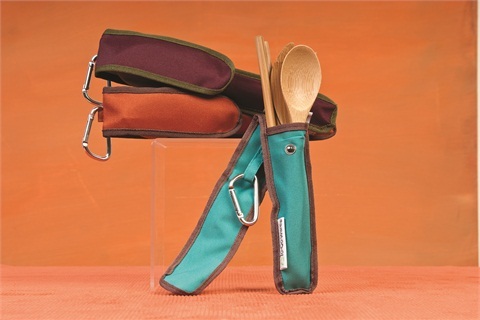 To-Go Ware’s RePEaT Utensil Set features stain-resistant and impressively long-lasting bamboo flatware and chopsticks. Each set comes in a recycled plastic case, making it ideal for eating on the go. Your clients won’t want to leave the house without throwing this set of cute cutlery into their purse. The cases come in five different trendy colors: agave, avocado, hijiki, pumpkin, and merlot.